Nothing screams “lame” quite like a non-functional hood scoop. Thankfully, Dodge has reincarnated one of its iconic cold-air intakes – the shaker scoop. Originally made famous by the 1970 Challenger R/T, Dodge will bring the scoop back in a limited run of the 2014 Challenger R/T Shaker Edition. Dodge hasn’t released any revised performance estimates, but besides looking cool, the shaker scoop will funnel cooler air into the combustion chamber, theoretically increasing power in these models. 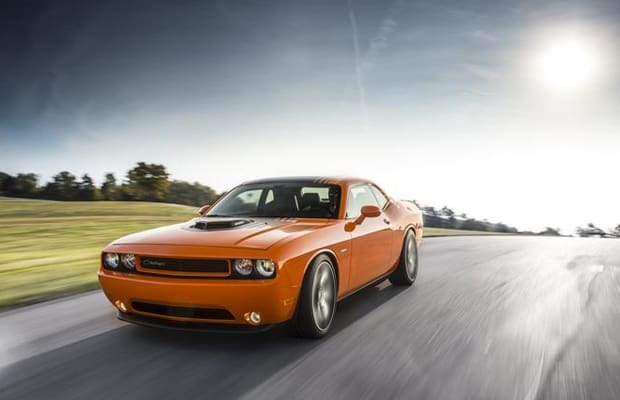 The Challenger’s 5.7L HEMI V8 already cranks out a burly 400 lb.-ft. of torque, so expect to see a bump in that number. The 2014 Challenger R/T Shaker is available in some pretty exuberant colors with a bevy of interior extras. Starting at just $36,995, it’s a pretty good deal for those looking to experience some jiggly-engined American muscle. Act quickly though, because there are only 2,000 models available.